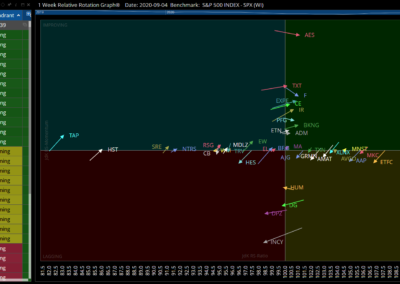 A Relative Rotation Graph® (RRG®) is a complete top-down analysis technique. 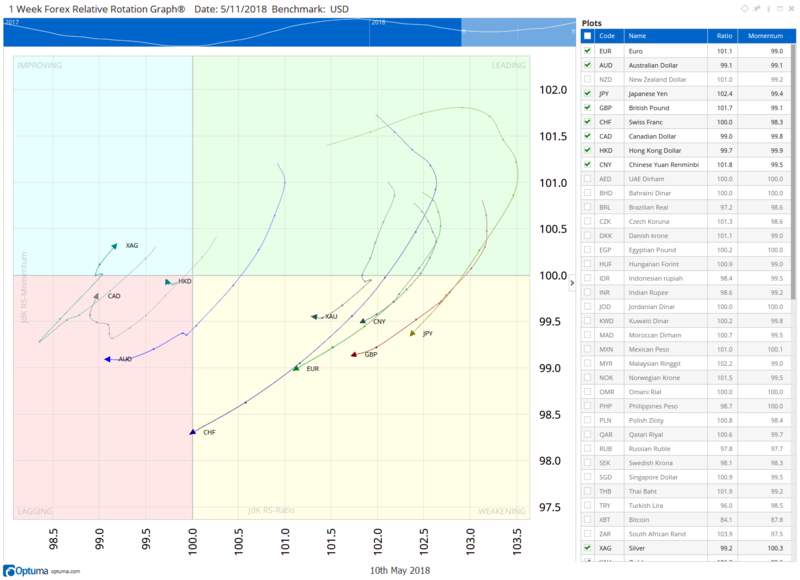 Developed by Julius de Kempenaer after many years of research, RRG will help you look at the relative performance of a Security, Index or even an Asset Class and determine how it is performing relative to the benchmark or an average of its peers. RRGs allow you to see rotation of leadership within any group of securities. Years of subjective and quantitative research has proved to us that every security that is a leader will one day rotate into underperformance. Have you ever had the situation where you selected a market leader based on its historical performance only to see weaker returns? That is because all securities rotate away from being leaders. 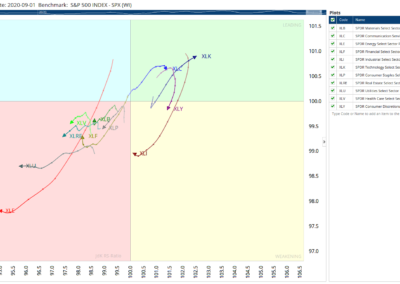 The RRG is the only chart available that allows you to visualize that on a single chart. Optuma allows you to run RRGs on any time frame, from months down to intraday time-frames. 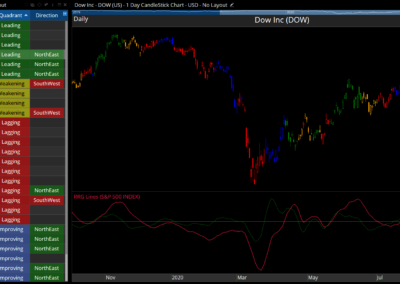 This is a fantastic way to monitor the relative movements of the securities in your universe during the day, and see them updating in real-time. The same principles work in all time frames. Optuma has teamed with RRG Ltd to take the RRG® concept and produce an incredible implementation that allows you to easily create RRGs from Watchlists, Symbol Lists, even Market Scan Results. The best part is that in Optuma you can move back and forth through history—seeing not only where a security is today—but where it has come from and what it has done in the past. We are excited to add in RRG to Optuma. We are always looking for unique ways that allow traders and analysts to have a completely different view of the market to provide an edge in analysis. 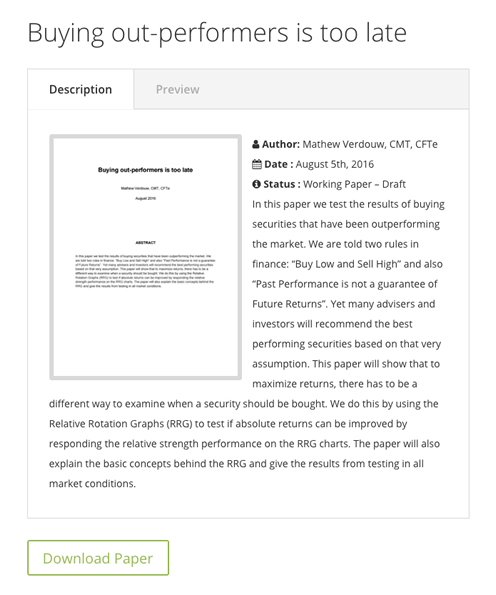 RRG is quite simply one of the very best charting methods we have seen for revealing the relative strength of securities. After deducting 1% management and commissions, my Tr Yr performance is in excess of 1100 bps. There is no way I could have achieved this with any other methodology that I used in the past thirty years prior to RRG/Optuma. Optuma, together with RRG Research, has taken the concept of RRGs and extended them beyond a simple visualization. Optuma is the only application in the world where you can access the Angle, Heading, Rate of Change, Quadrant and Distance of securities on the RRG. These are the key data points that were used in our quantitative analysis of RRGs (See below). Optuma is also the only implementation that allows you to set the sensitivity of the rotations so that you can control how quickly the rotations react to market movements. Buying out-performers is too late. So what do all the arrows and coloured quadrents mean? 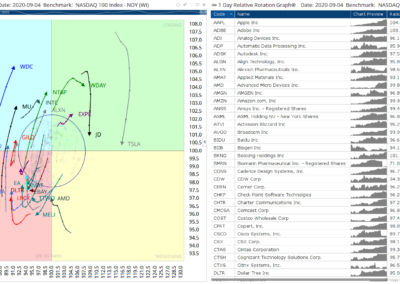 How can we use RRGs to manage a portfolio and make stock selections? In this 35 min webinar we take a look at the theory behind RRGs and how we can use them today. If you are new to RRGs, then this is a must watch webinar. 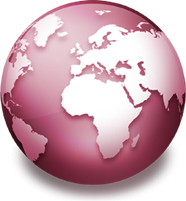 Optuma is the only provider which makes available Foreign Exchange RRGs. The choice of benchmark is an important consideration in all RRGs, but what do we choose with currencies? There is also a lot of confusion about cross rates as some are quoted as USDXXX and others as XXXUSD. Optuma solves all of this by allow you to select the base currency and then generating a RRG that is able to show you how each currency is performing. If you want to see for yourself how RRGs in Optuma can make a significant difference, then click on the button below to request a trial of Optuma. We have Trader and Enterprise editions. The Enterprise edition includes the full RRG while the Trader has the light version of RRGs (the full RRG can be added on for $20 per month). This trial will be for the Enterprise edition so you can test all the features of the RRG.